look at all the pretty! I have a confession—while I did recently receive and read a shiny new ARC of HEMLOCK (compliments of my awesome editor—THANK YOU CLAUDIA, YOU ROCK), it’s not the first time I’ve read it. I actually fell in love with this story back before Kathleen had an agent. 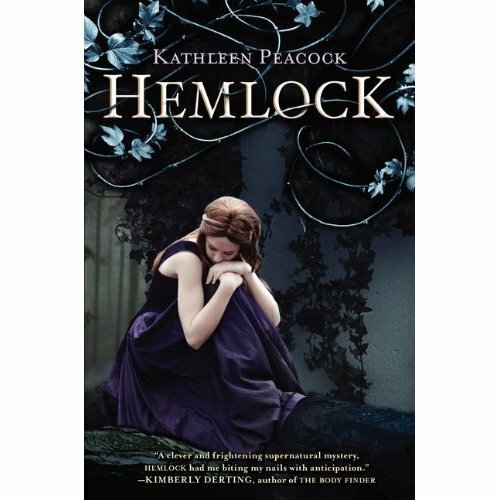 I have another confession—I loved HEMLOCK even more the second time around. 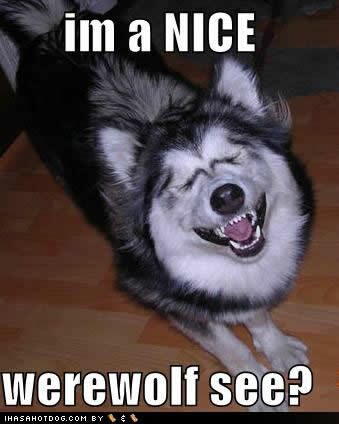 Pretty amazing, since I never considered myself a huge werewolf fan–UNTIL NOW. is anyone else disturbed by the lack of arms? But here’s the thing–HEMLOCK isn’t just a werewolf story. 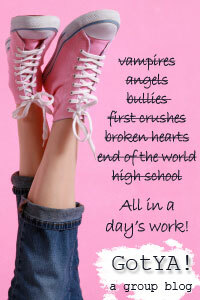 At heart, It’s a book about friendships and secrets, loyalty and betrayal, and that’s what makes it SO. FREAKING. AWESOME. Yes, werewolves are an integral part of the scary world the main character Mac lives in, but there’s so much more to love in this book besides furballs. The mystery, the really creepy dream sequences starring Mac’s dead best friend, the complexity of the friendships Mac shares with steady Kyle, haunted Jason, and fun Serena, all combined to make this one hell of a page turner for me–despite the fact that this wasn’t my first time reading. And then there’s Mac herself—smart, funny, unfailingly loyal, and desperate to keep her friends safe—exactly the kind of narrator you can’t help but cheer for as she tries to unravel the mystery that’s tearing apart her entire town. Have I mentioned that I love this book yet? Corrine Jackson is mesmerized by MAY B.
I’ve been excited about this book ever since I heard the title, which is fantastic. Can’t wait to get my hands on a copy!